Nintendo’s 1993 Super Nintendo Entertainment System rail shooter Star Fox and the 1997 follow-up for Nintendo 64 taught a generation of gamers a host of things about fighter jet skirmishes—particularly that you can’t trust a toad to pull his weight in one. While you probably know about the early series’ accelerated 3D gameplay and other graphic innovations, there are a number of facts about its origins, effects, and signature moves that likely never got in your crosshairs. 1. STAR FOX IS A FOX BECAUSE OF SHINTOISM. When he was interviewed by Nintendo president Satoru Iwata, designer Shigeru Miyamoto—who helped shepherd the original Star Fox and its follow-ups into being—explained that an early version of the game reminded him of the Fushimi Inari Taisha shrine near the team’s Kyoto offices because of the many arches that the game’s main character passes through. “And when you think of Fushimi Inari, you think of foxes,” he explained, a nod to the shrine’s fox statues. Inari is one of the central kami (a kind of higher spirit, often tied to animals or natural phenomena) in the Shinto religion, and represents, among other things, fertility, agriculture, prosperity, and foxes. In Japanese culture, foxes are central figures in their own right; for example, both kitsune, the Japanese word for fox, and inari are used to described the fried tofu or fermented bean curd used in various Japanese dishes, thanks to the fact that foxes are thought to enjoy the food. 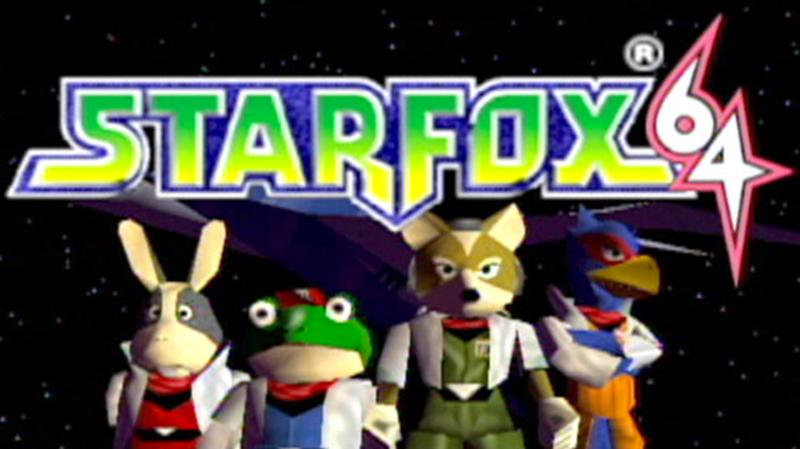 Miyamoto explained that the team had always planned to use the English word for "fox" in the character’s name. 2. BUT THE DESIGNERS ALSO JUST THOUGHT A FOX WOULD BE COOL. 4. ... BUT SLIPPY TOAD, ONE OF GAMING’S MOST HATED CHARACTERS, WAS BASED ON A CO-WORKER. Miyamoto explained that the amphibian mechanic was modeled after a “staff member who used a toad like a personal mascot, always writing ‘ribbit, ribbit’ and such on memos.” Slippy has largely been remembered on gamers’ lists of their least-favorite characters. The gaming site IGN, for one, described Slippy’s voice as "the sound of the earth cracking open just as the four horsemen visit plague and pestilence on humankind" in a satirical trashing of Star Fox, while GamesRadar included him among its seven most hated sidekicks. 5. FALCO WAS ACTUALLY BASED ON A PHEASANT, NOT A FALCON. Though his body shape has become considerably more streamlined over the years (making him look most like a red-throated caracara, says Nerdist), Falco was originally designed to be a pheasant, as the animal has significance in Japanese folklore. Despite his humble beginnings, Falco Lombardi (who borrowed the surname of special effects-designer Carlo Rambaldi for his appearance in Star Fox’s Japanese edition) has been a memorable figure since the game’s release. CraveOnline called him the “Han Solo to Fox McCloud's Luke Skywalker,” while Complex and Joystick Division have both included him on their lists of the biggest fictional "douchebags" in gaming. 6. CHARACTERS WERE DESIGNED TO LOOK LIKE PUPPETS WHEN SPEAKING. To market the game, Nintendo organized “Super Star Fox Weekend” competitions in malls around the U.S. for an estimated 400,000 players, offering buttons, t-shirts, jackets, and getaways as part of $500,000 in prizes. The company also produced around 2000 limited-edition Super Star Fox Weekend (Official Competition) cartridges, containing time-limited challenges in slightly altered game levels for commemorative purchase and play. Several European nations hosted similar events using the special cartridges (although these were called "Starwing Weekends" to align with the game’s overseas title). 8. … AND THE MANIA DIDN’T END THERE. In several cities across the U.S., Nintendo put on festivities with celebrities. Salt Lake City had people watch Nintendo world champ Jeff Hansen take Fox McCloud’s Arwing for a spin after a game cartridge was hand-delivered by a skydiver. Retired Utah senator and NASA astronaut Jake Garn also paid a visit. For a limited time, fans could also send away for a miniature version of the game, which came in the form of a watch, using documents in specially marked packages of Kellogg’s Corn Flakes. The Super FX coprocessor gave Arwing dogfights a more 3D feel thanks to polygon graphic rendering, and it brought these capabilities to several SNES games after its co-development by Argonaut Games and Nintendo. Upon Star Fox’s 1993 release, the Gadsden Times wrote that the “new technology [could take] you to places in Videoland unlike any you’ve ever seen,” and in 1994, the Associated Press called the game “Nintendo’s gift to gamers." Ultimately, the chip’s steep manufacturing costs led to higher retail prices for games, but its innovations allowed the Super FX 2 to give games such as Doom and Super Mario World 2: Yoshi’s Island their memorable looks. The 1997 sequel Star Fox 64 offered enhanced 3D gameplay, four-player split-screen views, and 23 character voice clips, but it also launched one of the Nintendo 64 (N64) console’s most memorable pieces of hardware: the Rumble Pak. Critics found that the “vibrating motor pack,” which attached to N64 controllers and gave significant feedback when players sustained damage in Star Fox 64 and many of the console’s subsequent games, made for a “heightened” playing experience. 11. YOU CAN ONLY TRULY “DO A BARREL ROLL!” IN STAR FOX: ASSAULT. All veterans of N64 Arwing flight will remember almost incessant encouragement to perform barrel rolls. As it happens, the tricky maneuver that players have been pulling off for all these years is, in fact, an aileron roll, and not a barrel roll. The key difference between the two is that there isn’t an altitude change in an aileron roll, but there is one in a barrel roll. 12. STAR FOX 64 CONTAINS REFERENCES TO SCIENCE FICTION. Fans of the game have noticed a number of tributes to various science fiction and space flight-related films throughout the game. Some fans have identified the sequence in which players must escape from Andross’ lair as paralleling the Millennium Falcon’s last-minute flight from an exploding Death Star at the end of Return of the Jedi (the lines "I have a bad feeling about this" and "I'm here to rescue you!" quote the same series). Fans have also determined that the game’s battle on Katina, with its hulking ship overhead, mirrors a similarly foreboding shot in Independence Day, and that Spyborg’s angry soliloquies channel V’ger from Star Trek: The Motion Picture. 13. THERE’S ALSO A BEATLES SHOUTOUT. According to Official Nintendo Magazine, the game may honor hit music, too: “General Pepper appears to be named after the Beatles album (and song) Sgt. Pepper's Lonely Hearts Club Band as he also shares a similar outfit to the Beatles on the cover.” The game's designers are known admirers of the band. 14. STAR FOX RECEIVED A NOD FROM GUINNESS WORLD RECORDS. The 2009 issue of the Guinness World Records: Gamer’s Edition compiled its top 50 console games of all time, and Star Fox landed at #45. Not too shabby.